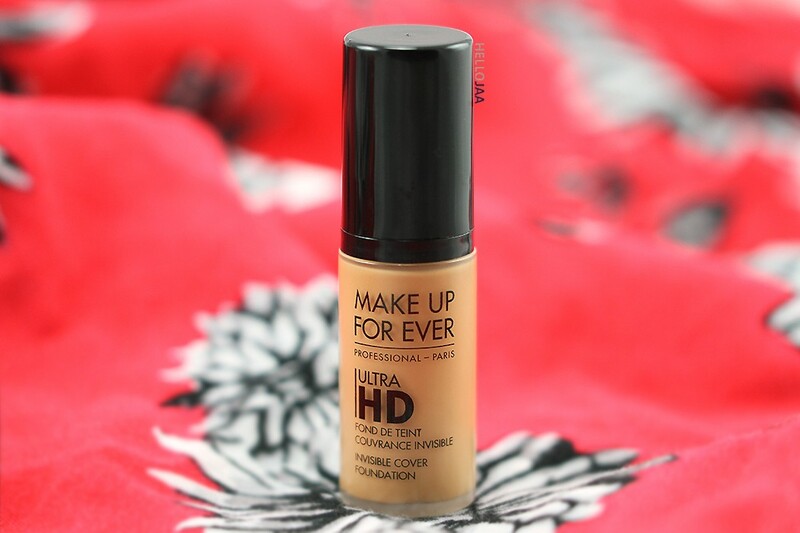 The new Make Up For Ever Ultra HD Invisible Cover Foundation was developed specifically for the Ultra HD 4K displays on TV, film and digital devices (Ultra HD 4K provides 4 times more clarity than traditional 1080p Full HD). 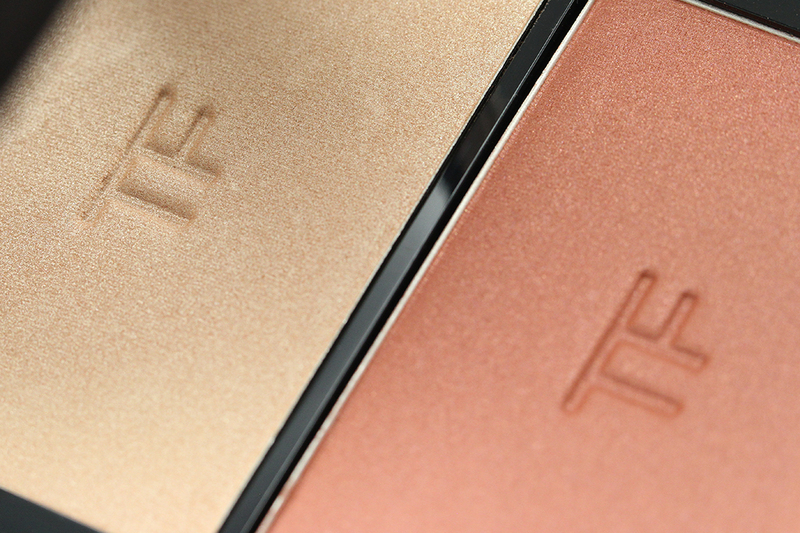 It was masterfully re-formulated to provide a flawless finish to the skin while being completely invisible on the new screen resolution. Well, if you can't even detect it with the ultra-magnified, super-focused 4K lens, I can't even imagine how much more natural it will look under the naked eye! 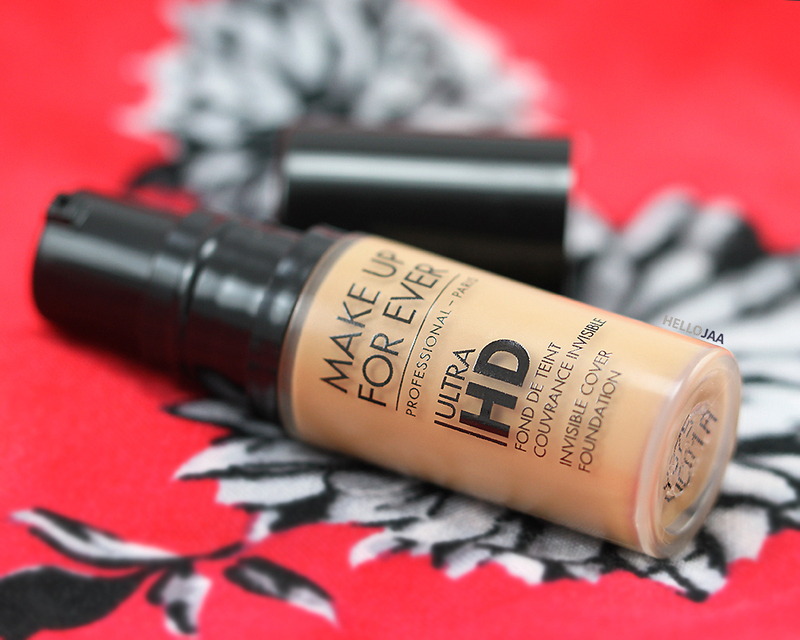 I've put it to the test and here's my experience with the foundation based on my day-to-day makeup! I have a sample size to show you today because when it comes to foundation, I like getting samples to test out the formula first. Having a sensitive, blemish-prone skin, I'm very picky about my base products. Nothing much to say about the packaging here then except it comes with a convenient pump just like the full-sized bottle. The amount given is pretty generous, too! The color I have is Y375 or Golden Sand. From my arm swatches below you can tell right away it's way too yellow for my MAC NC30 skin even after it's sheered out. The yellow cast is also noticeable when applied on the face so I highly recommend getting a color match in person rather than relying on on-screen swatches. Good thing there are 40 shades available for this formula! 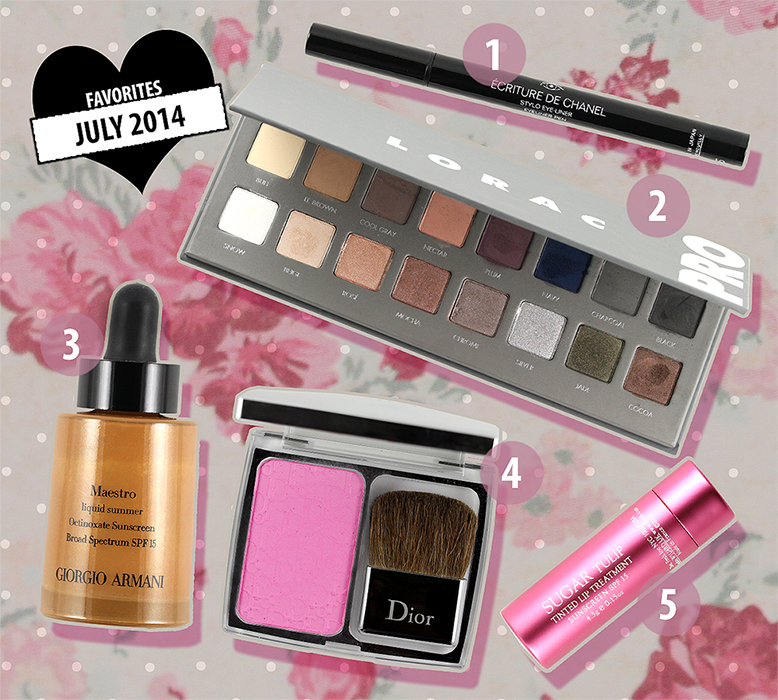 If you haven't found your perfect foundation match before, perhaps this time you will! Seriously, 40 shades, wow! The foundation has a lightweight, fluidy texture (but not runny, think of thick lotion) that spreads effortlessly and blends seamlessly on the skin regardless of the tool used to apply. Applying with fingers is the quickest and most convenient but I personally like using a dense, foundation brush better. A Beautyblender also works but be prepared for a sheerer, lighter coverage as a result. 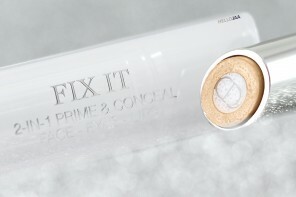 It is unscented and oil-free and contains uniquely-coated pigments for buildable coverage, hyaluronic spheres for increased comfort and pluming effect, and fine grained mica for a luminous, light-reflecting complexion. Before use, don't forget to shake the bottle well to properly disperse the ingredients. This is a light-to-medium coverage foundation so with one layer, the skin's imperfections and discolorations are lightly evened out. I have quite a bit of acne scarring on my cheeks so I'll need to go in with another layer to increase the coverage. I can't go over 2 layers here otherwise the shade mismatch would be too obvious. The formula claims to be buildable but not quite to full so any deep scarring, dark spots, and freckles will still peek through. I love, love, love the finish! It's a bit dewy, a bit satin, and a bit matte; my skin just looks so natural and healthy with this foundation on. 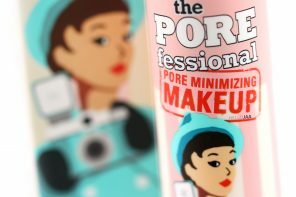 For those with good skin, you can get away with applying just the foundation alone on bare face but if you have enlarged pores like I do, you'll need to prime the skin with a pore-perfecting primer first, otherwise it will pool in pores and highlight them. It also tends to cling on to dry areas so you'll need to prep your skin well beforehand. 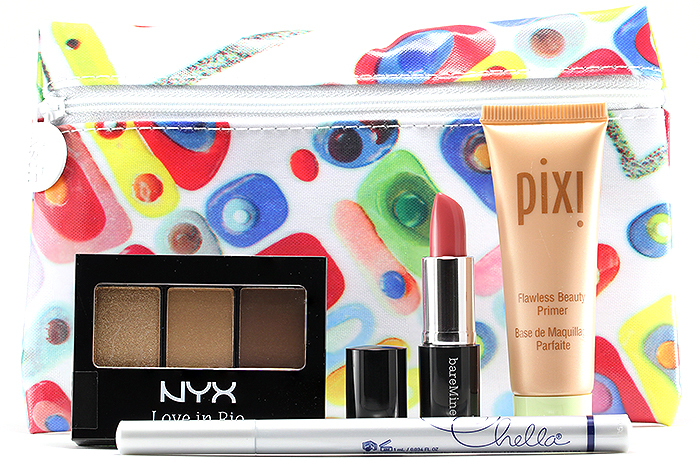 I'm glad to see that it does not oxidize or make my face become more oily during the day. It seems to wear well for regular work days from 9-5 and some days I may only need to blot lightly once. 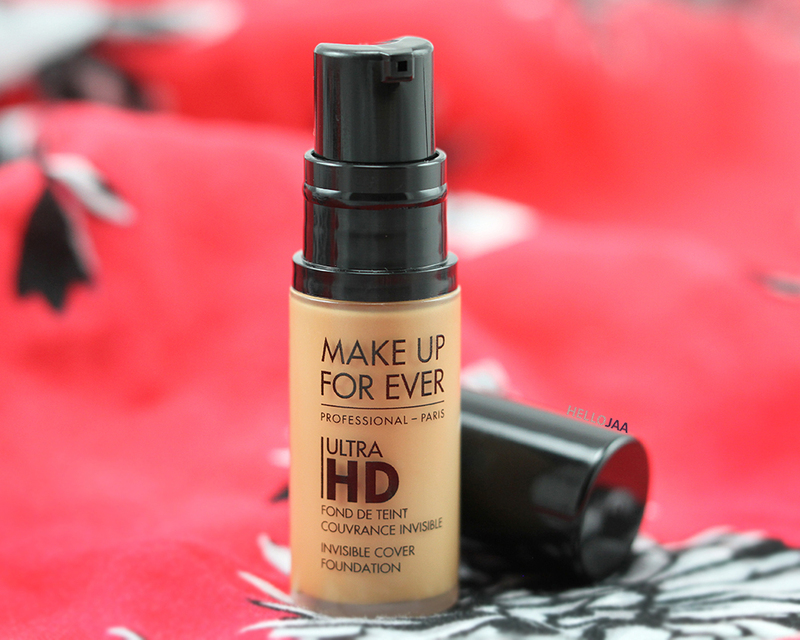 However, this is not a super long-wearing foundation as I noticed that it broke down and lost coverage outside the 8-hour window when I wore it from early morning till late night on a few occasions. It would probably be OK if you are in film/TV industry where you regularly receive touch-ups but as a regular person, this is probably not the foundation I'd choose if I know I'll be out for long hours. 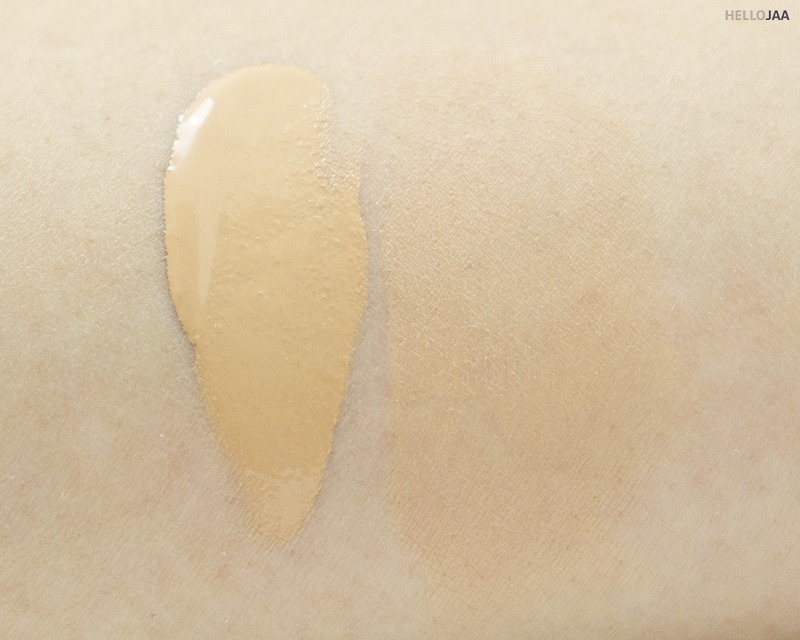 Here's how the foundation looks on me when I applied 2 layers (and a third layer on the cheek to cover my acne scarring; you can clearly see a stronger yellow cast there). I didn't set with powder so that you can see the full effect of the foundation itself! I’m about to use and review this formula as well. I did notice it way dry when swatching it. 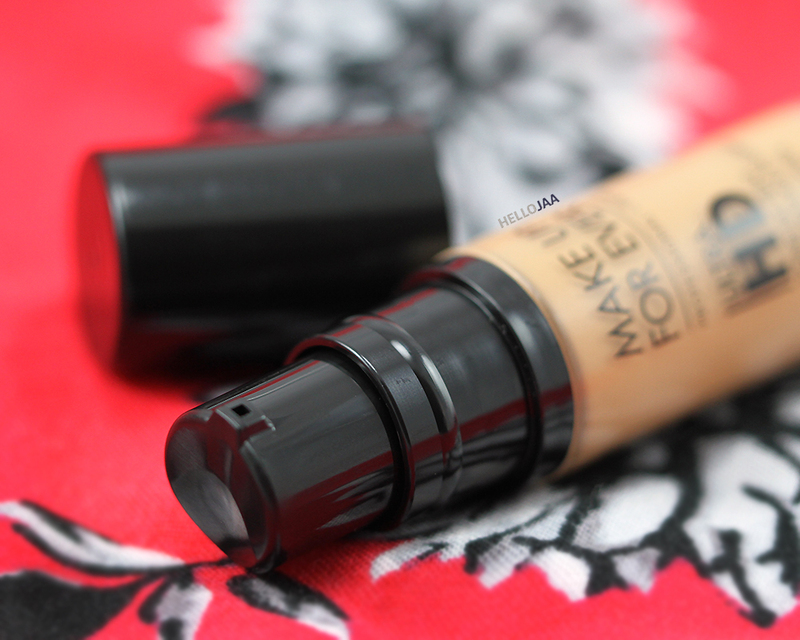 I got a sample of MUFE moisturizing primer to try with it. Honestly, if I have to use a primer to get a foundation to work for me, I won’t be using it. If a primer makes it just a little better than that’s one thing but with today’s technology I expect my foundation to perform well over a nice moisturizer or sunscreen. Oh I’m curious to know how you get on with it, Erin! Yeah, I was a little disappointed that it didn’t do well on its own but I always apply primer before my foundation anyway so it really isn’t a deal-breaker for me. But yeah, it would be nice! Hey Jaa, I am all for getting a sample when it comes to foundation as well! I actually think the shade looks fine on you, but if you could find something just a little less yellow it’d be perfect! Lovely neutral result! And indeed a big plus that your skin doesn’t get oily from it!! I thought this would be full coverage and thick but I’m glad it’s not! I really like the finish. Me, too! I love the finish and feel of it. I just have to find my color match! I haven’t tried the HD one! Everyone seems to love it and now I’m curious! I have the HD loose powder, though, but it doesn’t seem to do much for me. I already like it! 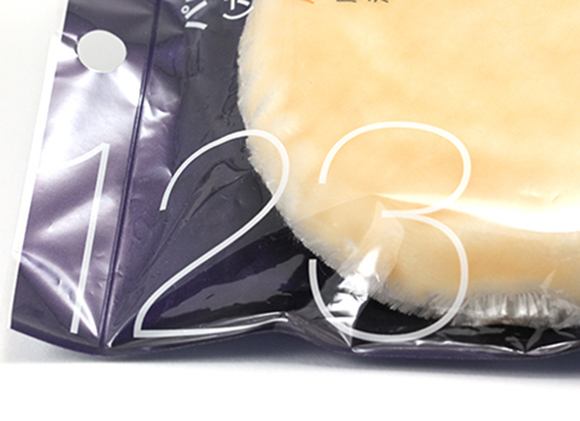 Will get a sample soon. 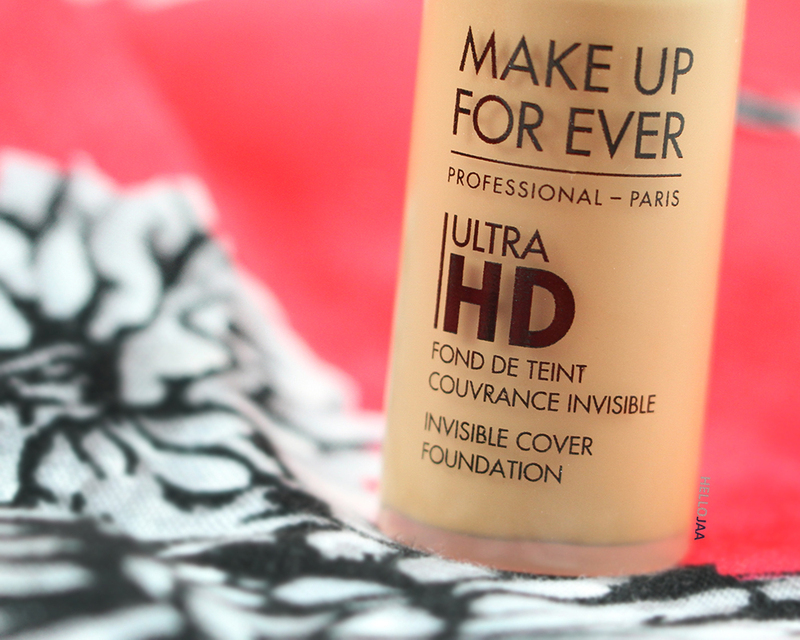 This foundation does look really beautiful on you and give you a flawless look. I too have scarring and discoloration on my cheeks so I’d have to layer it on, too. 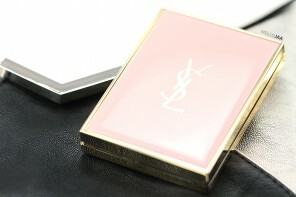 I’m kind of intrigued by a more fuller coverage option like Estee Lauder Double Wear or Double Wear Light. I have a blogger friend (Hannah // Straightup Hannah) who always wears it and her skin looks PERFECT but simultaneously like she’s not even wearing foundation. And Sephora now carries it which always makes things so much more appealing to me due to the fast shipping and great return policy! I’ve been meaning to try the EL Double Wear, too! 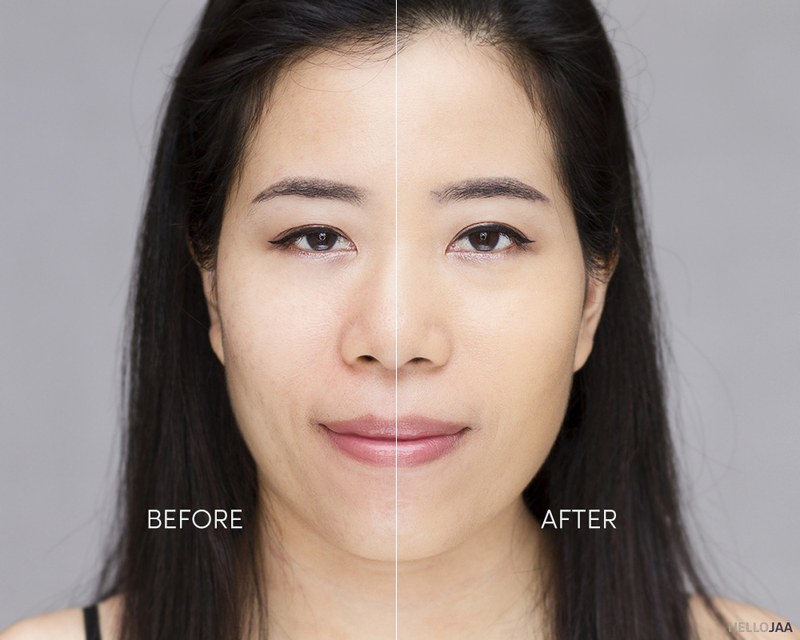 It’s the foundation that many Thai vloggers/bloggers recommend. I heard it’s super full coverage while still looking natural. TEMPTED! :D I should give a try some time soon! i have dry skin. 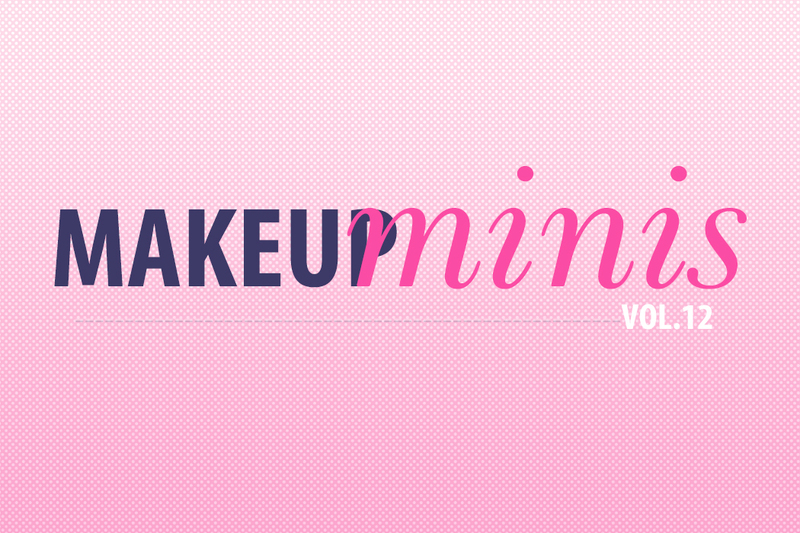 which moisturizer works well with MUFE foundation? someone help..